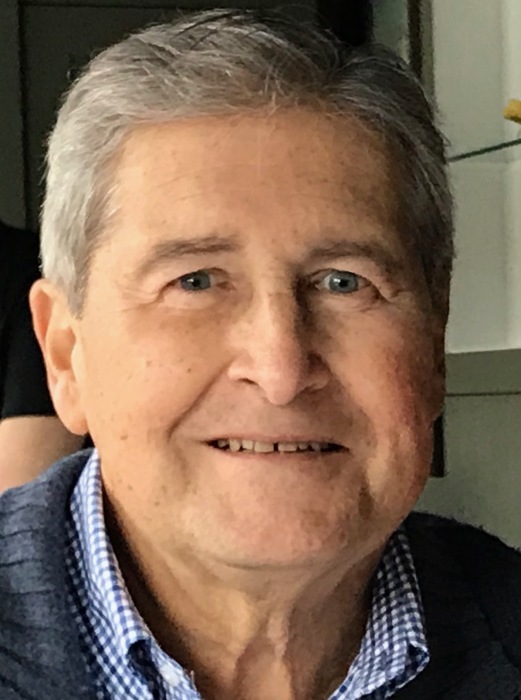 William Bourgeois, of West Roxbury, formerly of Newton, January 21, 2019, surrounded by his loving family and friends, following a long and brave battle with cancer. He was 75 years old. Born in Newton, William was a proud Veteran of the United States Air Force and worked for UPS for 35 years. He met the love of his life, Linda, at a gathering at a friend’s house in West Roxbury 54 years ago and a year later, they were married. Bill and Linda shared a truly remarkable love for each other. They were inseparable. Together they traveled the world with some of their favorite destinations being New Orleans and Martha’s Vineyard. It wasn’t uncommon for them to get in the car and go exploring, or travel to York Beach for a lobster roll. Bill enjoyed fishing and summers in North Woodstock, NH at Deer Park Lake. Above all else, he enjoyed spending time with his family and especially his 10 grandchildren. Bill was the devoted and loving husband of Linda (Nashawaty). Loving father of Lisa Lessard and her husband William of Franklin, Mark Bourgeois and his wife Laurie of Quincy, and Scott Bourgeois and his wife Sylvia of Brookline, NH. Cherished grandfather of Ryan, Justin and Jonathan Lessard, of Franklin, Nicholaus and Liam Bourgeois of Quincy, and Olivia, Ethan, Christian, Hunter and Austin Bourgeois of Brookline, NH. Dear brother of Marcia Butler of Brockton (and her late husband Ernest) and Gary Bourgeois and his wife Sheilah Wallen of Toronto. He is also survived by several loving nieces and nephews. Bill’s Funeral will be from the Kfoury Keefe Funeral Home 8 Spring St. (at the corner of Centre St.) WEST ROXBURY Saturday at 10 a.m. His Funeral Mass will be held at St. John Chrysostom Church at 11 a.m. Visiting Hours will be held Friday, 5 - 8 p.m. Relatives and friends are respectfully invited to attend. In lieu of flowers, contributions in Bill’s memory may be made to St. Jude Children’s Research Hospital, 501 St. Jude Place, Memphis TN, 38105 or to the Mass General Cancer Center 55 Fruit Street, Boston, MA 02114. Bill will be laid to rest at Mt. Benedict Cemetery in West Roxbury.